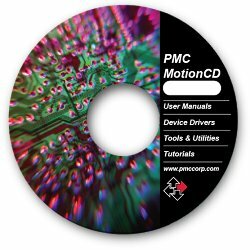 Note: Our Motion CD is shipped free with all first-time orders of our motion control cards. Additional copies of the Motion CD are available for a nominal shipping and handling charge of $25.00. Note: All of the software, documentation and support resources available on the Motion CD are also conveniently available for download from our web site 24 hours a day.